There is a great deal on FREE paper at Staples this week! 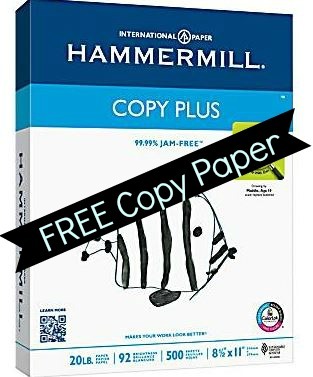 You can get a FREE 10 Ream Case of paper or a free ream of paper. You can print a lot of coupons with that paper! You can sign-up for Staples rewards and learn more about them here. Note: You will get the money back in Staples Rewards, not a rebate. You’ll need to use the rewards on a future Staples purchase. The deal is available in-store only. There is a limit of 1 per customers. The deal is valid 10/13-10/19.